The Hitler Youth (Hitler Jugend), the youth branch of the National Socialist party had its earliest origins in the 1920’s and by 1933 was the only “official” youth organization in Germany. Adolf Hitler had no qualms about using the next generation to further the ideology of National Socialism and children were attracted to the scout-like program with its competitions, skills training, parades and outdoor adventures. But even if they didn’t want to be in the Hitler Youth or the League of German girls, it was soon not much of a choice as on Saturdays children could attend the Hitler Youth or go to school instead. (Social Education/ October 1983 p. 394). Nazism and traditional Christian beliefs were not compatible and Hitler Youth activities subtly drew children away from religious observance. Schoolteachers and Jungvolk leaders had kowtowed early on with Hitler’s new educational curriculum of racial superiority and German nationalism. Hitler youth activities were scheduled on Sundays, and at summer camps children were taught the uselessness of religious faith, repeating little ditties such as, “we are the rollicking Hitler Youth, we have no need of Christian truth…” http://histclo.com/youth/youth/org/nat/hitler/act/rel/hya-rel.htm Religious rites of passage, such as confirmation were replaced by Nazi ceremonies. http://research.calvin.edu/german-propaganda-archive/jufeier.htm By the time most German children reached adulthood, Nazi ideals were already part of their psyche. 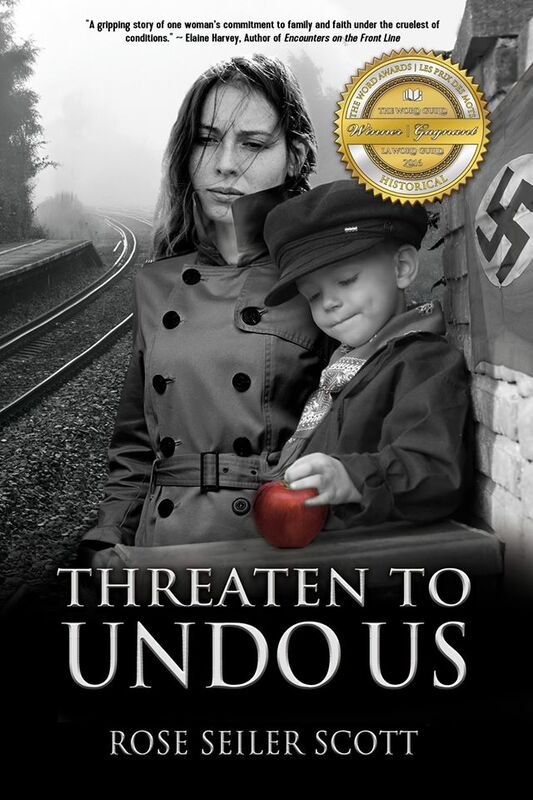 As a lead up to the release of my novel “Threaten to Undo Us,” I am posting historical photos, with an excerpt from my book and a little snippet of history. Enjoy! Threaten to Undo Us can be pre-ordered at www.promontorypress.com. Use code “SpringPreOrder” to get 20% off the cover price.